When most conductors make their downtown Chicago Symphony Orchestra debut, they usually program a big Romantic blockbuster, the better to have the audience on their feet cheering in the wake of a brassy, exultant D-major coda. Give credit to Peter Oundjian for the repertorial path less taken. The longtime first violinist of the Tokyo String Quartet has built a busy podium career in recent years, and currently serves as music director of the Toronto Symphony Orchestra. Oundjian elected to make his CSO subscription debut with a notable local rarity, Ralph Vaughan Williams’ pastoral Symphony No. 5, a work unheard downtown since Leonard Slatkin led the last performances 23 years ago. 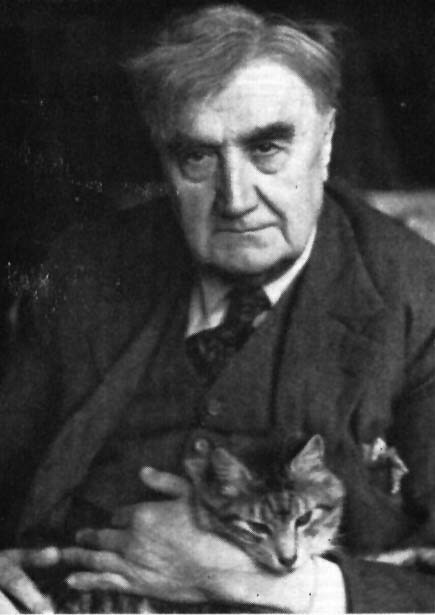 Vaughan Williams completed his Fifth Symphony in 1943, yet for a wartime work, the Fifth is contemplative and largely untroubled, suffused with a quiet spirituality (the composer adapting some material from his then-unfinished opera, The Pilgrim’s Progress). For many, Vaughan Williams’ Fifth virtually defines the English pastoral school—the cow-looking-over-a-fence school to detractors— yet this is not soft or weak music. Much like VW himself, there is a strength and steely determination beneath the bucolic wind writing and relaxed pace. Oundjian has grown into an inspired podium leader, as demonstrated with a combustible Nielsen Fifth with the New World Symphony last year in Florida. Thursday night, Oundjian also showed he is a Vaughan Williams true believer, leading a radiant and idiomatic account of this glorious score. The Preludio opening, with two horns in D quietly entering over the orchestra in C major, could have used a greater sense of mystery, but after that Oundjian’s direction was virtually faultless. Trained in London, the Canadian conductor clearly has a feel for this music’s flow, unfolding the long lines and skillfully handling the tricky transition into the second subject. The mercurial bustle of the second movement was firmly etched as well. Yet it is the reflective Romanza that is the heart of this work and the organ-like string textures Oundjian drew from the CSO in the slow movement were ideal, the peaceful religious inspiration manifest. There are passing ominous moments in the finale, but the overriding sense of optimism and relaxed contentment were surely conveyed, the quiet glowing serenity of the strings at the coda beautifully rendered (and the ensuing silence mercifully unbroken by premature applause). Apart from the usual bobbles from the CSO’s first horn, the orchestra richly conveyed this evocative, uber-English score. This is very “stringy” music, and the sections played quite gloriously for Oundjian. Many principals are off this week following the CSO’s brief tour, but there was fine solo work from violinist David Taylor, oboist Michael Henoch, and, especially, Scott Hostetler on English horn. Oundjian demonstrated he can do the glitz thing too, opening the evening with a rousing account of Capriccio espagnol. Rimsky’s colorful Iberian showpiece was given a swaggering performance, Oundjian teasing out the dynamic contrasts and Spanish atmosphere with notably lively clarinet contributions from John Bruce Yeh. Mozart was the central palate-cleanser, in the form of the Piano Concerto No. 20 in D minor, performed by Shai Wosner. The young Israeli made an admirable subscription debut, showing that he clearly has the technical chops for this repertoire. Still, whether youth, a bit of nerves or both, this was serviceable rather than memorable Mozart. This may be one of the composer’s more dramatic concertos, yet Wosner too often sacrificed an essential grace and fluency, sounding impatient and overemphatic, and rushing his fences with odd accents that didn’t seem on point. His line in the Romanza was blandly literal and while the Rondo came off better, there was a distinct lack of charm, and some scrambled passagework on the way to the coda. The program will be repeated 8 p.m. Saturday and 7:30 p.m. Tuesday. www.cso.org; 312-294-3000.